Help Is On The Way is a song by Rise Against in the Rock genre. It was released in 2011 by the Interscope label. The artist's official site can be found at www.riseagainst.com. Tim McIlrath does it again. 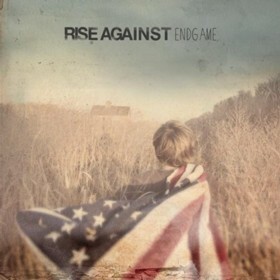 "Help is on the Way" is one of the single's from Rise Against's latest album, "Endgame". The song has its roots around the absolute devastation caused by both the BP oil spill and Hurricane Katrina. The lead singer of the group, Tim McIlrath, personally witnessed the havoc these disasters caused while taking a break during one of Rise Against's tours - though he has gone on record as saying that the lyrics apply to any world disaster. The song itself is all about hope and about looking at the unfortunate mistakes that were made regarding the causation and handling of these disasters. Not only are Tim's vocals amazing in this song, so too are the numerous guitar riffs which flow throughout. If you are a fan of Rise Against, definitely give it a listen.